I am a mechanical engineer at Fikst, a mechanical engineering consulting firm in the Greater Boston area. 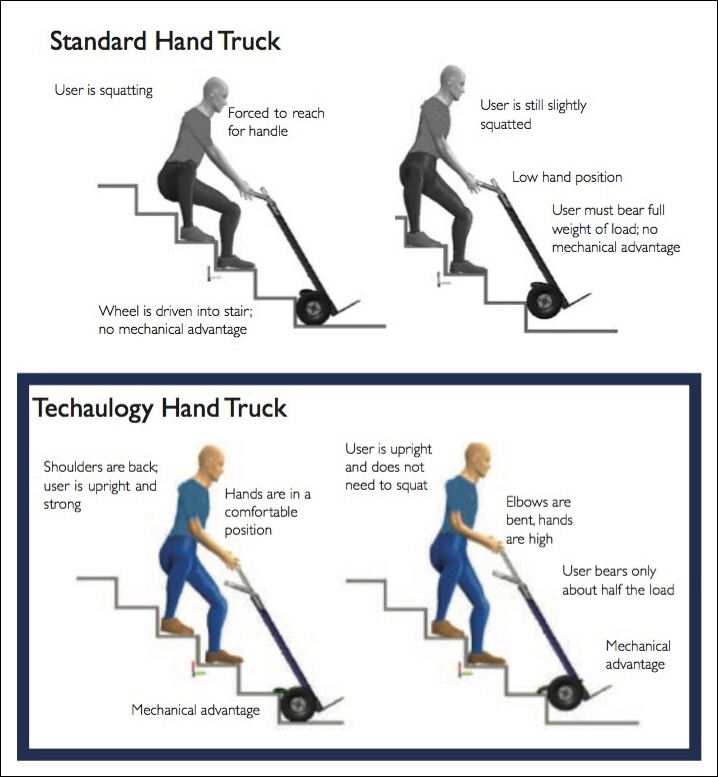 I saw the Stair Climbing Handtruck post yesterday and I noticed that all of the handtrucks in the post use the same technology, the three wheel design, which is helpful for lighter loads but not for real lifting. We developed a hand truck at Fikst that uses mechanical leverage to help you get really heavy items over a curb or up a set of stairs. If you are interested, take a look. Clark goes on to write "I, a petite woman, am able to get multiple reams of paper up a set of stairs using this thing!" "Our hand truck is not currently available but is a totally different approach to a similar problem, so I thought that I would write in to share." Sigh. Engineering FTW, Sales/Marketing/Business Reality FTL! Good Design, nice and simple. DC motor and a battery pack? plug that baby in and have it ready to assist going upstairs. We at Route 7 may be interested in that design.